If you’re a returning Reality Sports Online user and if you’re anything like me, you’ve been studying potential free agents since your last game of 2013. Some of you may already have had your rookie drafts. The typical RSO user is pretty strategic and dedicated, so most owners who are going into their 2nd Free Agent Auction are probably looking for guidance on who to target and how much to offer up for potential free agents. 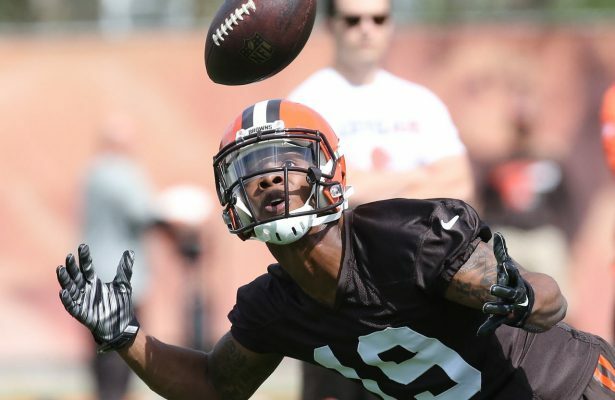 If you are a new user, the last piece I wrote “Drop ‘Em Like It’s Hot” should help give you a feel for contract values in existing RSO leagues for your first action-packed Free Agency Auction. To further analyze the database of league data I sifted through in my last article, I’m preparing Free Agent Rankings and analysis for your benefit for players who are owned by less than 50% of 2013 RSO users on multi-year deals. I will have two lists, the first being Top 25 Free Agent rankings in this article and the second being a 26-50 Top Free Agents list in an article coming soon. Either way, these rankings and analysis represent players, which depending on your team needs and salary cap situations, should be available in most leagues and who I believe should be targeted most. Before we jump into my rankings and analysis, I do want to share a little bit of auction strategy for you. First off, you’ll see some quarterbacks on my lists. You may say, well, I already have that position taken care of. The point is, someone else in your league may not, and just like the NFL, you want to have valuable pieces on your team no matter what your relative need may be. Plus, don’t let someone get a quarterback like Ben Roethlisberger for $1M a year just because you have RGIII wrapped up for 3 years and you are high on your incumbent. Bid up quarterbacks as much as you can without overextending yourself to a point you are uncomfortable with if that player landed on your team. Basically, don’t give your rival owner a free pass to talent on the cheap because you already are taken care of at a certain position. When the 2014 RSO Recommended Contract Values came out, I was floored to see someone like Matt Ryan at a 3 year, $4M contract and went back and forth with the RSO guys on that one, while begging to get into their league this year if that’s how little they value Matty Ice. Remember, a few owners will be desperate in season for talent, and when you have the surprise QB or the well known one who turned his game around on a friendly contract or that they can’t live without, you will get value for them in a trade assuming you are in a league with rational decision makers. Also, some owners may have approached last year’s inaugural auction like an NBA lottery pick that just got his first paycheck, so they may be capped out. In essence, don’t let the owners who spent wisely get every available talent on the cheap. It also never hurts to have a good backup as owners of Aaron Rodgers and Michael Vick found out last year. Additionally, consider how the NFL values a position before you are throwing premium dollars at the wrong player or a player at the wrong position. Remember that the shelf lives of running backs tend to decline around the 2,000 carry landmark (which players like Marshawn Lynch and Arian Foster are rapidly approaching). All things being equal, a premium wide receiver is among the most valuable players to target for multi-year deals. They play a position valued in today’s passing league and can at a high level deeper into their 30’s. If I’m paying premium dollars for a running back and putting three years into him, rest assured I want someone young and at least slightly proven. Otherwise, I’m comfortable just being somewhat conservative at running back and finding value wherever I can on a budget. Think players like Rashad Jennings and Danny Woodhead, etc. You definitely need to consider your league scoring system and how many players your league starts at certain positions as well. 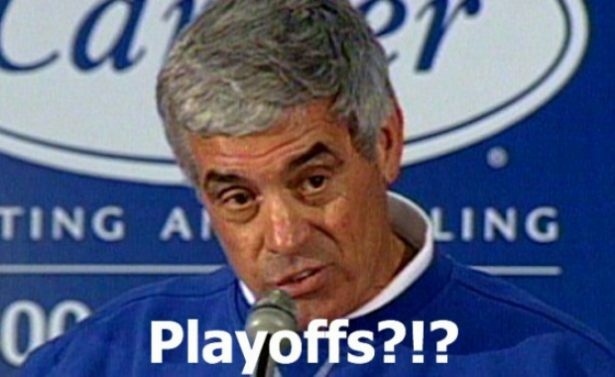 I’m in a league with three flex spots and only one starting running back required out of 10 starters. It is also a full point PPR and a league in which quarterback sacks and incompletions are punished with negative points and interceptions are worth -5 points. For perspective, I currently may be entering 2014 with no running backs on my roster, which I know I’ll need to address, but with only one starter spot potentially to fill, I don’t have to overpay for the best free agent running back available if I value someone else more. Look at the player’s real contract too. If you are targeting a “system” guy, make sure he’ll be in the system for the length you are signing him up for, or if he’s a pending free agent, that he stands to benefit from being a free agent. The RSO Free Agent Auction moves lightning quick and you don’t have time to check on a player’s real life contract status in the middle of the auction. Last disclosure before I dive into my rankings-there are no kickers or DST’s listed in these rankings as essentially all of them were owned by less than 50% owners on multi-year deals. 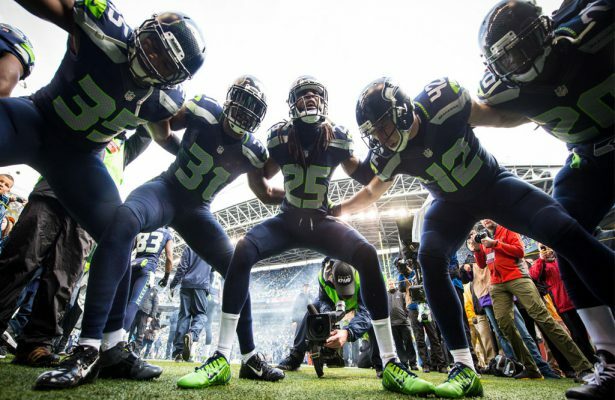 If you’ve read my previous pieces, you know I love the Seahawks DST and there a few others that maybe worth holding onto or getting on a two year deal. I wouldn’t recommend going more than two years on a DST as these tend to shift quickly production wise with free agent moves. The prize of the free agent class. He’s in the best duo in the league arguably and one of the best offenses, even if Jay Cutler has history with Brandon Marshall. Jeffery shows amazing timing and fights for the ball with corners and his best is yet to come. Also in his third year, where most wide receivers show the biggest improvement. Way less downside risk and injury risk than running backs. Exactly what I look for in a fantasy running back, Ellington is young and electric, flashes excellent pass catching ability and can make the big play. He’s also on a loaded offense with an established receiving corps and the team addressed their offensive line needs in the offseason. The contract value is based on potential and how much speed he has. Should put up Top 15 performance at his position for the season and get plenty of activity in a really good offense in spite of his diminutive size. Obviously his value takes a hit if he’s suspended for all of 2014, but talent wise he’s a Top 5 wide receiver and did so much with so little offensive support or quarterback play in 2013. $15m a year for Gordon is a bargain if he doesn’t get a full year suspension and the two years are factoring in he’s on his last strike with both the Browns and the NFL drug policy. Worst case if you get him and he’s out for the year is that you put him on injured reserve and get 50% of your value back. I wouldn’t give Gordon more than two years based on the suspension risk. Already tackled Foles in a franchise tag article, but I’m highest on him of all the QB’s who may be available via free agency. Foles has tons of weapons and benefits from Chip Kelly’s offensive system and pace. He also seems to have the tools and makeup to succeed over time. I wouldn’t give him more than 2 years, just in case Foles regresses significantly this season if other defenses figure him out. Peyton Manning loves targeting the Tight End when he has one worth throwing to, especially in the red zone. 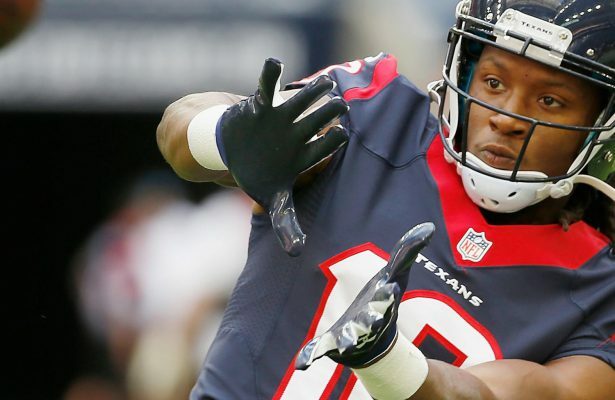 Thomas was highly efficient with 65 catches on 89 targets in 2013 with 12 TD’s in 14 games. He also had two games with over 100 yards and 2 TD’s in the same game. Tight End is a relative value position and Thomas is a Top 5 option for certain. My only hesitancy here is that he’s an unrestricted free agent in 2015 and nobody knows how much longer Manning will remain a Bronco. Cameron’s value for 2014 is somewhat tied to Josh Gordon playing, but let’s assume that the Browns resist the urge to start Johnny Football and Brian Hoyer wins the starting job. In two full games with Hoyer, Cameron was a beast with 16 receptions on 23 targets for 157 yards and 4 TD’s. Cameron will benefit with or without Gordon as Head Coach Mike Pettine’s plan with OC Kyle Shanahan is to feature a running based attack and if the defense throws an extra man in the box, Cameron, like many Shanahan coached tight ends in the past will exploit that matchup every time. He is a 2015 unrestricted free agent, but word out of Cleveland is that he’s a prime candidate for the Franchise Tag, so I feel pretty good about a 3 year RSO deal. Was a star in 2013, but many fantasy owners didn’t even notice. Made the most of his targets and had 17 catches over 20 yards in 2013. Has the size and speed to be targeted more in the red zone and Arizona’s offense as noted above in Andre Ellington’s synopsis will be much better. Floyd is in his third year and expected to break out as his teammates have showered him with praise this offseason and Larry Fitzgerald becomes more of a possession receiver in 2014. A free agent in 2016, but a star in this league in 2014 who has Dez Bryant type upside. A PPR league’s dream running back. Vereen had 21 catches for 162 yards and a TD in the three games he played together with Rob Gronkowski, and then had 12 catches for 153 yards in the game Gronk went down with his ACL injury. 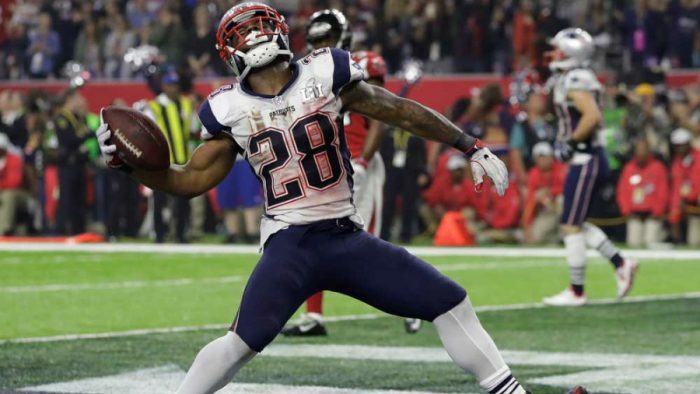 With LeGarrette Blount now in Pittsburgh, perhaps Vereen gets more of an opportunity to run the ball too, especially if Stevan Ridley continues his fumble issues that has landed him in Coach Belichick’s doghouse. Vereen is expected to see more snaps this season and flashed his rushing potential in Week 1 last season vs. Buffalo with over 100 yards rushing and 58 yards receiving on 7 catches. Vereen is a 2015 free agent, but is worthy of a short multi-year deal as his versatility is a differentiator. Bell is an underrated back from 2013 who figures to be more involved in the Lions rushing game. With so many passing weapons taking the pressure off of Calvin Johnson, Bell also figures in the screen game as well. He did miss OTAs with a knee injury, but figures to be ready for training camp. Also benefits from being in same backfield as the brittle Reggie Bush. He just signed a three year contract in 2014 offseason. Figures to be the touchdown maker for the Giants receiving corps this season and figures to build more chemistry with Eli Manning, as he has been talked up in OTAs. Will benefit heavily from OC Ben McAdoo (formerly of the Packers) offense. Free agent in 2016. Seems boring, but his production is not. Rumored to be in the role vacated by Darren Sproles. His 77 catches in 2013 were huge and he did have 147 carries in 2013. Don’t expect that type of workload necessarily, but the Saints did just sign Thomas to a three year extension in spite of his missing the playoffs last season with a chest injury. Rumors also have the Saints moving to more of a balanced offense as well. Was a PPR stud who the Patriots re-signed in the offseason. His value is somewhat tied to how the other wide receivers perform and mostly to Rob Gronkowski’s recovery from injury. You still want to own the slot WR in the Patriots offense, but tread carefully. Should probably be on the “comeback” list, but I like Maclin enough on the regular auction list on a one year RSO deal. While Jordan Matthews could contribute right away as a rookie, Maclin is the most talented wideout on the Eagles and remember, he was a first round draft pick in 2009. Should bounce back and intentionally signed a one year prove it deal to highlight his value in free agency. Call this a good situation. I don’t love Sanders, but I love how the Broncos could use his versatility in the next few years. Remember, he’s not Eric Decker, but he should be used frequently and could occupy Wes Welker’s slot position if he leaves after this season. As a general rule, I usually don’t draft Jaguars as I can’t stand watching their games (just too boring). However, Gerhart was brought in for a reason-to be the bell-cow of the Jags’ offense. They like his leg drive and ability to gain yards after contact and Gus Bradley seems to be trying to build a version of the Seahawks in Jacksonville. Maybe Gerhart’s low mileage could make him a poor man’s Marshawn Lynch. Another PPR machine. Had 94 catches for 1,079 yards in 2013, but only 2 touchdowns. Perhaps Ken Whisenhunt can turn him into the Keenan Allen of the Titans, but he will need better QB play to make that happen. A free agent in 2016, so a two year play is smartest. Had a very solid rookie campaign and flashed big play ability and consistency, as well as ability to get into end zone. On a very talented Cowboys offense who figures to be in a lot of shootouts again in 2014 with a weak defense. Will make teams pay for double-teaming Dez Bryant and fits in well with new OC Scott Linehan’s scheme. Under contract through 2017, so plan accordingly. Has top 5 tight end potential if he stays healthy. Should benefit from a healthy RGIII and Desean Jackson free agent signing. A serious red zone threat who opens up the middle of the field and gets chunks of yardage. Big concern is concussion and injury history, which tempers enormous potential. A two year, $18m deal best balances the injury risk and the upside. Yes, lots of tight ends on my list, so you could get the right one as a value if you wait to grab one that you like. New OC Norv Turner loves using the tight end position and Rudolph provides a big target with good hands for whomever starts the season at QB. He’s in a contract year, so don’t overextend yourself. The best option on a team that likes to run the ball and was outstanding in 2013 for Oakland. Solid in pass protection and currently working with the first team offense. Only threat is if David Wilson comes back fully healthy. I wouldn’t go long-term on Jennings because he is 29 and has been a career journeyman, but for 2014 he could make you a smart owner. Was a top 5 QB in many leagues last season. Showed poise and better decision making and has plenty of dump-off options and better young talent than he’s had in years with Keenan Allen and Ladarius Green expecting to have prominent roles in 2014. Represents a great value and I’d even consider paying $7m a year for him to be my backup or spot starter as he is a rhythm QB who can be scorching hot at the right time in your fantasy season. His big contract extension in 2014 shows the Ravens’ need for a middle of the field receiving option. New OC Gary Kubiak loves throwing to tight ends and Pitta has a solid track record and appears to be fully healthy. Solid production expected. Most tight ends in recent history have had their breakthrough in Year 2. Ertz didn’t see many snaps in 2013 namely due to his blocking deficiencies. However, most within the Eagles brass are assuming a prominent role for Ertz this season and that could have been part of the decision to rid themselves of Desean Jackson. Has Gronk like upside and a huge 6’5, 250 lb. frame, so get on board on the ground floor and enjoy the ride. I could have put more obvious guys here like Ladarius Green or Ben Tate; however, Robinson is type of runner you want to have in a New Orleans offense that is trying to be more balanced in 2014. He runs angry and hard and Bill Parcells said he reminds him of Curtis Martin. He really impressed me with 13 carries for 57 yards and a TD vs. Seattle in the playoffs. With Mark Ingram potentially on the way out after the season, Robinson holds future value too. I know the 49ers get Michael Crabtree back for a full season and have added Stevie Johnson, but I don’t really care. Boldin is a game-changer, plays aggressively and the team wins when he sees the ball. 85 catches for 1,179 yards and 7 TD’s in 2013 as a 32 year old receiver, followed by a strong playoffs. Boldin still figures to see 8-10 targets a game and does the most with them. I could even justify an extra year on the contract if you wanted to get the average value down a little as he is a free agent in 2016. We’ve had some time to digest the results of the NFL Draft. Now let’s dig in and take a closer look at the top half of the RSO Big Board! If you missed it, check out my in-depth analysis of the Top 10 Rooks! I have marked my pre-draft ranking of the player in parentheses. Keep on the look out for more rookie analysis in the coming weeks!. If you need any advice regarding your RSO Rookie Draft, reach out to me on Twitter @SamHerbie. Depth chart position is moot here, as the Rams have a two-headed monster in the backfield. Mason and Zac Stacy should both be solid RSO contributors. I’m undervaluing Mason – He’d be a steal at #11 and will probably go higher in many RSO Rookie Drafts. Both RBs should get a lot of looks. The Rams will do anything and everything to keep Sam Bradford healthy. Speaking of keeping Bradford healthy (and upright), Rams brass obviously set out this offseason to upgrade an Offensive Line that wasn’t too shabby in 2013. Their Defensive Line rivals any team’s in the league. The addition of T/G Greg Robinson, aka Orlando Pace 2.0, pushes their OL in that same direction. Only twice in 19 seasons has a Jeff Fisher-coached team ranked outside the top 20 in rushing offense. Fisher won’t be shy in going to the well with Mason. Can this little-known 3rd-round pick hack it against much tougher competition? His climb from #19 to #12 on this list certainly suggests confidence in the Towson product. Terrance West could be in line for some major playing time in 2014. A takeover of the starting role in 2015 is feasible too, since newcomer Ben Tate is only on a 2-year “show me” contract and struggles with durability over a full season. Defenses will be distracted by Johnny Manziel (when he is inevitably named starter), which may not matter if TE Jordan Cameron turns out to be the team’s lone viable receiver. If their NFL Draft strategy is reflective of the team’s broader focus, the Browns want to become a more physical football team in a division with the Steelers, Ravens and Bengals. Bodes well for West – He’s one of the more physically imposing rookies. West is the ideal one-cut back for OC Kyle Shanahan’s offense. Alfred Morris of the Redskins came into the league as an underrated back with a similar skillset; Morris tallied 20 TDs and nearly 3,000 yards in his inaugural two seasons under Shanahan. I forecasted a sharp rise for Moncrief, pending “a very advantageous situation with a contender,” and mentioned the Colts as a potential fit. This marriage makes Moncrief an automatic RSO Draft selection. As a 3rd-round pick in the NFL Draft, Moncrief should get more looks in 2014 than Rogers will. Going into his second year, the Saints’ Kenny Stills should see a ton of looks in a offense that jettisoned Darren Sproles & Lance Moore this offseason. His owners are looking forward to a payoff for their patience. Similarly, RSO owners whom Donte Moncrief falls to must be patient, but they should be all smiles — Wayne and Nicks will both be free agents in 2015, so the Colts need to have a plan in place in case one or both don’t return. Enter Moncrief, who will have at least one season to contribute sparingly and, more importantly, learn from Wayne, Nicks and Hilton. Much like Kenny Stills often did in 2013 RSO Drafts, Moncrief could slip to the second round. He would provide tremendous short-money value for three years. When the second day of the NFL Draft began, I was convinced Robinson would not have to wait long to hear his name called. Boy, that was off base. Of the eight teams to select a WR on Day 2, seven passed on Allen Robinson in the second round. That list of teams includes the Eagles, Seahawks, Cardinals, Packers, Broncos and Colts, so one can understand why I cringed at the selection. Top 10 talent, but this team fit damages short-term outlook. 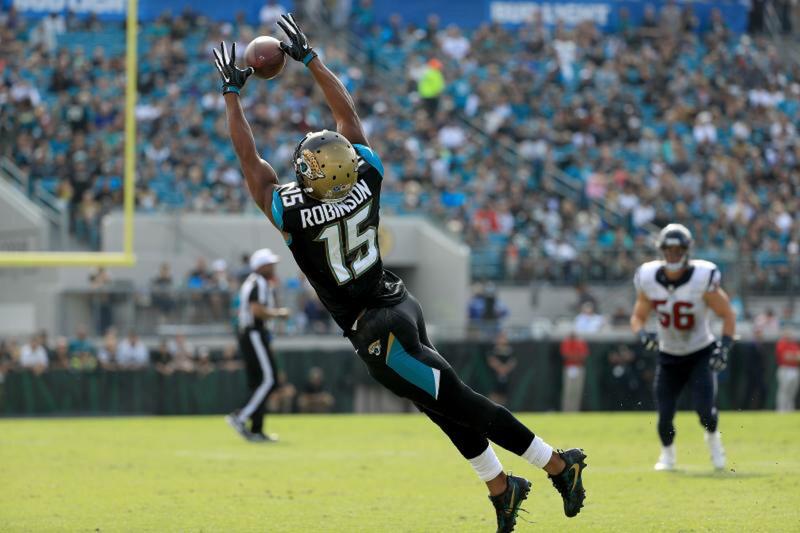 The Jaguars must share my belief that Robinson has an extremely high ceiling. Otherwise, the front office would’ve sit pretty with their selection of Marqise Lee at #39. They didn’t, proactively trading for a second receiver (Robinson). Teddy finds himself in an underrated situation in Minny. He’ll see game action in 2014, and when he gets his shot, veterans will gravitate toward his leadership sooner than expected. All that said, the Vikings have not drafted well at this position since Daunte Culpepper departed (Tarvaris Jackson ’06, Tyler Thigpen ’07, John David Booty ’08, Christian Ponder ’11). If Adrian Peterson continues to defy RB longevity odds, he and Teddy could make for an interesting backfield pairing. A healthy AP mitigates pressure on any QB, especially a rook. I am probably overvaluing Bridgewater at #15. This QB situation is messy. Hopefully training camp and preseason will provide some clarity. 58-year old Head Coach Mike Zimmer is a rookie himself. Still, he’s been around the block; He won’t play favorites and won’t let football politics interject. Bridgewater will have to earn that starting spot. Lee will see the field early, so he’ll be a nice stop-gap for WR needy owners. The former Trojan should catch 40-50 balls and find the end-zone a handful of times, regardless of who’s under center. Unfortunately, it’s likely his success will depend heavily on that of Blake Bortles for the duration of the 3-year (RSO) rookie deal. As mentioned, I’m a big fan of Lee’s new teammate WR Allen Robinson. This duo has a high ceiling. The Jags’ will roll with a revamped, yet unproven offensive unit. They have the right guy for a quick turnaround though. Head Coach Gus Bradley will command physicality from his football team well before Marqise Lee hits RSO free agent auctions. Much of Lee’s value hinges on durability. If injuries begin to pile, I’m uncertain how patient the coaching staff will be. The Phins ignored bigger positional needs to draft a tough, smart receiver in Jarvis Landry. In fact, at the time of Landry’s selection, they already had 9 WRs on the roster. Why trade down and select a 10th receiver, you ask? Because Landry is a gamer. His intangibles are the best amongst rookie receivers, and before long, he’ll be a comfortable option in the slot for QB Ryan Tannehill. This pick was not made to acquire speed, with Wallace and Hartline already on the wings. I believe this was a big-picture selection. 2014 is the last year Wallace is safe from the chopping block. His contract allows the team the opportunity to erase massive forthcoming cap hits. Additionally, Hartline signed a contract just over half the value of Wallace’s, and to this point has been the more productive and more valuable player. All of the above had to have played into the team’s decision to draft Landry. His deceptive quickness, knack for playing bigger than his 6’0″ size, and seemingly, an astute processing ability all remind of Hartline. Landry was a special teams stud at LSU, so he’ll immediately have ample opportunity to show off that toughness I spoke of. His depth chart position could improve with special teams efficiency this summer, as HC Joe Philbin specifically holds toughness and versatility in high regard. Seferian-Jenkins is the newest addition to the Buccaneers basketball squad. 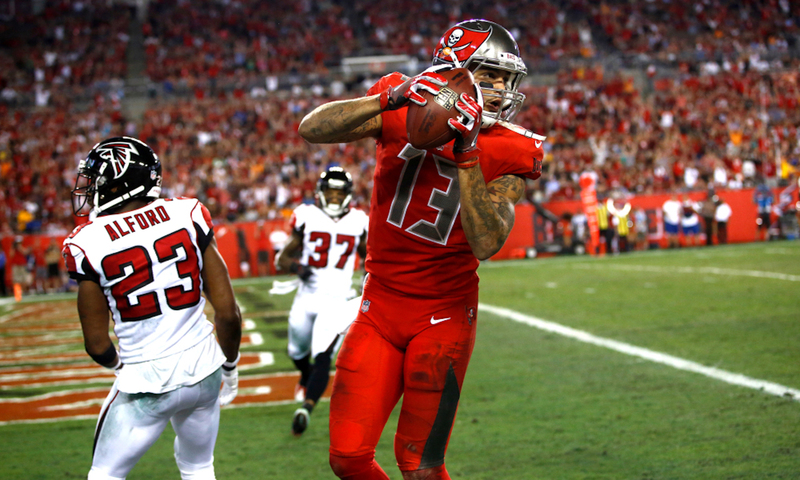 At 6’5″+, he stands eye-to-eye with TB receivers Vincent Jackson and Mike Evans. Success out of Seferian-Jenkins would follow suit in today’s NFL, as we’ve seen a trend of basketball-turned-football hybrid studs at his position. RSO owners seeking a tight end should try to trade down in rookie drafts to snag ASJ in the late 1st or 2nd. If Seferian-Jenkins separates himself as the starter, it’s realistic to expect 50+ receptions and an abundance of red zone looks. It wouldn’t be ludicrous to project numbers similar to what Martellus Bennett produced in Chicago last year with now-Bucs QB Josh McCown (65r, 759y). The decline in production during his final collegiate campaign at Washington shouldn’t be overly concerning, as OC Jeff Tedford’s system should open up space on the seams. All signs point to Devonta Freeman, a consistent and powerful runner, becoming an impact back for the 2014 Falcons. Steven Jackson will be 31 when the season opens and Jacquizz Rodgers is an inconsistent change-of-pace option, which means Freeman has potential to be RSO RB2/RB3 material by midseason. After a disappointing 4-12 record, the Falcons brass made it clear that their offseason objective was to get more physical up front. The first step was bringing in longtime NFL coach Mike Tice to oversee the OL. They then broadcasted their love for free agent Jon Asamoah, so the need at Right Guard was quickly crossed off the list. The icing was the acquisition of stud Tackle Jake Matthews at #6 overall in May’s Draft. Devonta Freeman is nimble for a big boy and should have no problems running behind the new-look Falcons line. OC Dirk Koetter has a history of employing multiple backs creatively, which should generate chances early and often for Freeman. The soft-handed back is a great fit for Koetter’s screen game. Head Coach Mike Smith has stated on several occasions that Freeman must improve in pass protection to stay on the field. He should provide Big Ben with a tall, vertical red-zone threat. There is Mike Wallace-type potential here as well, in terms of stretching the field for the Steelers’ offense. The Steelers offense will open the season as one of the more underrated units in the league, and I think they are a legitimate 2014 playoff contender. Bryant’s selection didn’t necessarily put them over that hump, but we’ve seen similar project receivers prosper under Steelers control. Now that we know where Bryant has landed, Bryant shoots up the board into the top 20. He brings a red zone presence Pittsburgh hasn’t truly had since Plaxico Burress, making Bryant a perfect complement to Antonio Brown and the offense. I envision the Steelers’ second-year speedster Markus Wheaton being a quality third receiver, but team management has already stated they expect Martavis Bryant to compete for the second spot on the outside as a rookie. Omitting Devonta Freeman’s arrival in Atlanta, Williams-to-the-Giants is the best team fit among rookie RBs. His power-running style will nicely complement newcomer Rashad Jennings. David Wilson’s progress off a career-threatening neck injury should be monitored this summer. An ineffective offensive line greatly hampered the Giants’ running game last year. GM Jerry Reese has already added four new linemen (Geoff Schwartz, J.D. Walton, John Jerry and Charles Brown) with starting experience and drafted a Center early in the draft. A lot of bodies, but it’s doubtful five of them will constitute a decent line. New Giants offensive coordinator Ben McAdoo said his running backs must be good pass protectors “first and foremost.” Considering Williams’s physicality and proven smarts, McAdoo may utilize the BC product from the get-go. Williams can pound the rock for a head coach, Tom Coughlin, who loves to do so. He’s still not 100% healthy (knee). It shouldn’t affect his future prospects though; When on the field, Mettenberger stays tall and strong in the pocket and has an absolute cannon. Keep an eye on depth chart position this summer – It’s a make-or-break year for starter Jake Locker who has missed almost as many games as he’s started (14, 18) over the last two years. It wouldn’t shock me to see Mettenberger hop Whitehurst, if push comes to shove. It wasn’t surprising to see the Titans go O-Line early in the draft again (Tackle Taylor Lewan). Last year’s first-round pick Chance Warmack struggled noticeably in 2013, and in general, their interior line was susceptible to QB hurries. Entering 2014, this looks like a crowded, mediocre unit. Further, their most professional and most productive lineman, Tackle Michael Roos, may be shown the door. Filling in for former Eagle Jason Avant, Matthews could be a similar between-the-20s type of receiver that is a steady producer in receptions and yards but struggles to find the end zone. Such is my only hesitation though, since Matthews will be the team’s No. 3 wide receiver and is in line for a lot of production in his first season. Beyond this year, there’s no guarantee Jeremy Maclin will be back, and Riley Cooper is not a long-term answer. With Nick Foles and Chip Kelly sticking around, Matthews should shine over the next three years. The Eagles already has their starting offensive line locked up under contract through the 2016 season. If last year was any indication of what’s to come in the next three, Nick Foles will have plenty of time in the pocket to find his receivers. In Chip Kelly’s creative, high-octane offense, Matthews should be a factor immediately in the slot. He falls into the ‘underwhelming option, but tough to pass on’ category. Considering whom the Panthers have listed at receiver, Benjamin could wind up being QB Cam Newton’s favorite target. The receiver’s 6’5″ height makes him an appetizing red zone option, one that could come at a low RSO cost. On the other hand, his 235+ lb. weight is frightening though, and week-to-week inconsistency will ultimately plague Benjamin owners. Simple. The Panthers lost every single receiver that played a snap for the team in 2013. I was a big fan of Panthers’ wide receivers coach Ricky Proehl in his playing days. Benjamin needs to be in Proehl’s back pocket from the get-go. Maybe some of his coach’s championship moxy will rub off. This ranking is made under the assumption that Amaro will line up in the slot often. If he does, the landing spot for Amaro is decent. The Jets have quarterback concerns, but receiving options are thin behind Eric Decker. The Jets will primarily use Cumberland in-line, considering Amaro’s blocking needs a lot of work. The rookie should be a more effective receiving option than Stephen Hill, David Nelson and the aforementioned Cumberland. The tight end role has historically been diminished in OC Marty Mornhinweg’s West Coast Offense. Moreover, rookie tight ends notoriously struggle to post consistent fantasy-relevant numbers in any offense. Carey should immediately step in as Chicago’s #2 back but won’t see more than a handful of touches per game as long as Forte is healthy this year. His preseason performance could go a long way in determining his role/value. He’s a must-own as a backup — and if anything does happen to Matt Forte, Carey’s value would skyrocket — but he is not the short-yardage #2 back Michael Bush was, so owners cannot even expect Carey to steal touchdowns. Forte turns 29 in December and is only signed through 2015. Carey has fair long-term value in Chicago. Chicago’s offensive coordinator Aaron Kromer and running backs coach Skip Peete flew down to Tucson a week before the draft for a last-minute workout of Carey. Looking back, Carey said he “knew it was a perfect fit.” He went on to say that the Bears operate out of spread or shotgun formations about three-quarters of the time, which should mesh well with his experience in Rich Rodriguez’s Arizona ­offense. Second-round pick Adams is in great company. GM Ted Thompson previously used second-round picks on Greg Jennings, Jordy Nelson and Randall Cobb. Larger team needs loomed at the time, so Thompson’s decision to draft him fuels Adams’s rise in the rankings. Adams showed explosiveness in pre-Draft workouts, which should translate to the next level. And he comes out of Fresno’s timing offense, which will make for a good fit in Green Bay’s quick-hitting West Coast Offense. He should be a second- or third-rounder in RSO drafts. Presuming he jumps Boykin on the depth chart, Adams will see plenty of single coverage in 2014. RB Eddie Lacy will get his hands on the ball a lot, and QB Aaron Rodgers has an advanced comfort level with targets Nelson and Cobb. Bear in mind, the Pack will roll into training camp with a quintet of candidates for the tight end position. The guy with whom Aaron Rodgers finds a rhythm will cut into Adams’ looks. Mike McCarthy and the Packers know what they’re getting in Fresno State-product Adams. He’s intelligent, strong and a smooth route runner. Any concern about press coverage and separating from defenders should be tossed aside, since A-Rodg will be throwing him the ball. The reason behind slotting a seventh-round pick here is that the Jaguars’ RB depth chart is Johnson’s for the taking. He won’t knock off Gerhart as the team’s starter, but based on his skill set it’s easy to picture Storm outworking Jordan Todman and Denard Robinson in training camp for the backup role. This pick makes a ton of sense for the Bradley regime – The head coach wants to play a tougher brand of football. Johnson, a physical runner, will fit well in Jacksonville’s zone blocking scheme. Storm Johnson has a UCF-history with QB Blake Bortles, which should make both guys’ transition to the NFL a bit easier. Just moments after drafting Johnson, HC Bradley told the media that Johnson’s two biggest weaknesses are pass protection and ball security. Those certainly are two things that will keep a running back off the field, regardless of talent level. Tom Savage shoots up twelve spots to No. 29, a ranking that still understates what he’ll bring in years 2 and 3. Savage will be Bill O’Brien’s first project as head coach, and O’Brien has already hinted at a cautious, measured approach. So barring injury, Savage probably won’t see much game action until Halloween of 2015. Standing with a clipboard for that long requires patience and humility. Neither should be an issue for Savage though, as his strange road to the NFL — including stops at Rutgers, Arizona State, his father’s lumber yard and Pittsburgh — had to have made an impact. It turns out Savage networked along the way too. Before finally settling on Pitt, the QB considered Penn State as landing spot and made a positive impression on then-Penn State coach Bill O’Brien. Ryan Fitzpatrick is firmly in place as the Texans’ 2014 starter, but this team found its franchise QB in the fourth round of May’s draft. Don’t pay attention to this depth chart so early; Savage has a rocket attached to his torso and makes a ton of ‘wow’ throws. I’ve come around on Savage, which is primarily due to my faith in Bill O’Brien. The job O’Brien did at Penn State, specifically with no-name QB Matt McGloin, was remarkable. Fat chance he lingers in the #2 hole on the depth chart for long. One key difference I failed to mention previously is that Bortles is a hometown boy. He grew up two hours south of Jacksonville, spent four years at UCF, and will now be playing professional games in his backyard. That factor definitely brings some intangible value. Jacksonville is by no means an ideal situation for a young QB. However, this Jags regime, unlike the one Blaine Gabbert played under, is attempting to add talent (Robinson, Lee) around its young QB early on. You are currently browsing the Reality Sports Online blog archives for June, 2014.